The “Us / Them” DVD from Ryan Howard and crew is available now! Here’s some good news. The “Us / Them” video that Ryan Howard and the crews from Ohio and Michigan have been working on. The video features full parts from Jake Coulson, Jeff Milby, Matt Skaggs, Greg Goldberg, Devon Denham, Ryan Howard and Zack Gerber with a friend section and a section from the guys in Michigan for good measure. You can pick up the video in two ways now. There’s the Digital Download for $10, or you can go with the DVD version for $20 that also comes with a Zine and a sitcker! The video runs for 48 minutes and is bound to be awesome with a line up like that. Get on it! The master grind technician, Ryan Howard, has a new one for Animal Bikes to check out! It’s always a good day when Ryan Howard‘s name pops up with a new video! This time around he’s about to give you a Masters Course on how to put all four pegs to heavy use for Animal Bikes! Get on that play button and take it all in! Animal Bikes coming through with some fresh gold from Ryan Howard‘s recent trip out west to San Francisco in search of sunshine and spots! Hit play to watch Ryan put all four of his pegs to heavy use on what he came across during his stay. Excellent riding, clean film work and some great spots. This one does not disappoint! It looks like Ryan Howard, Zack Gerber and some of the Ohio crew have been working on a new full-length video project called “Us / Them” that’s bound to be damn good. Here’s the trailer for the video giving you a taste of what’s to come. If you like raw, street riding and the occasional street beer, this is bound to be one you’ll love. “Get a taste of what’s to come in the Us / Them video, featuring Jake Coulson, Jeff Milby, Ryan Howard and Greg Goldberg. Full length dropping winter 2017. Here’s a short but sweet video that Ryan Howard put together featuring Jeff Milby out cruising street spots, putting his pegs to good use on anything he could get them on. 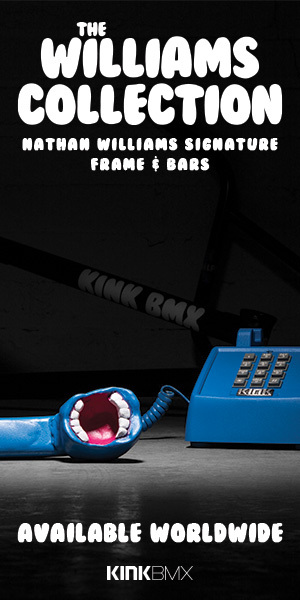 If you like jibs and a raw vibe to your street BMX videos, this is one for you to enjoy!